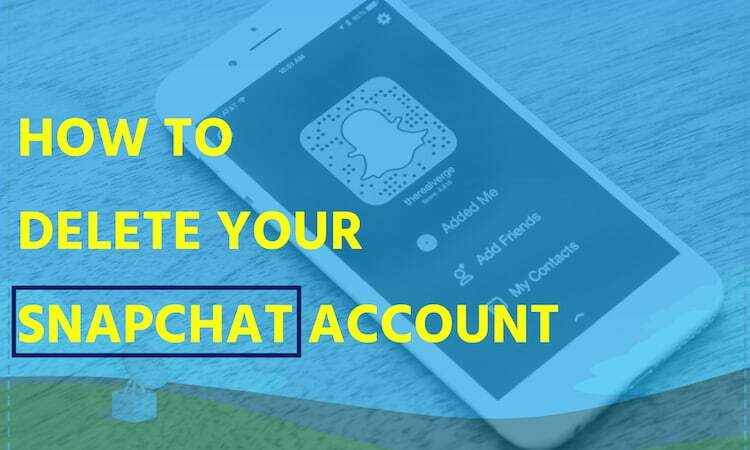 Snapchat is one of the most popular messaging apps to share Snapchat stories, pictures, videos and text message which is free to download and send messages. The app allows users to send messages, videos and images which get self destruct after viewed by the recipient. The app is widely used across the globe by millions of people as it gives you a convenient option to stay connected with your friends and family members and inform them about the recent events of your life with ease. Snapchat also allows users to follow their favourite celebrities, brand and news groups. Despite of having all the qualities it may not suit some of the users. There are people who love their privacy and don’t want others to comment on their pics. Though, Snapchat provides you various options to keep your account free from any unwanted stuff. Still, if you find it distracting and decide to delete your Snapchat account, you are always allowed to do so. Snapchat account cannot be deactivated from the mobile app directly. 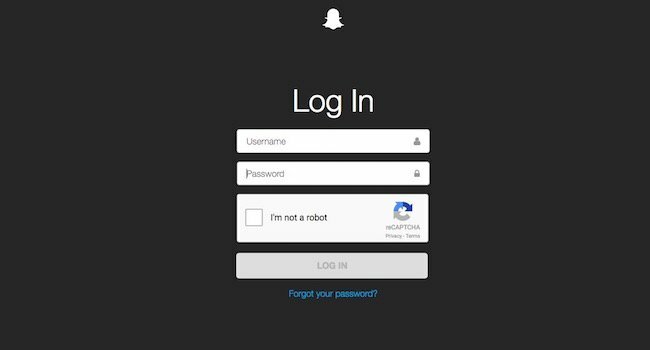 You need to go to the Snapchat website using a browser which could be Google Chrome, Microsoft Edge or Safari. 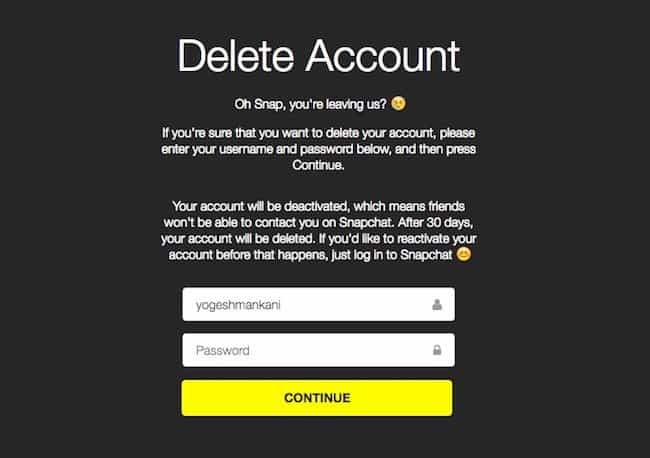 So, if you are sure about this, check the steps on how to delete your Snapchat account easily. Put a check mark on the reCAPTCHA tab to identify yourself as a human, it may show you a picture for verification. It will redirect you the Delete your Account page where you have to enter your password once again and click on Continue. Once you click on Continue, the screen will show you ‘Account Deactivated’ on the screen. Snapchat will deactivate your account immediately. However, it will take 30 days to delete the account completely. Meanwhile, if you decide to reactivate your account, just login back once again with your credentials. So, following all these steps will delete your Snapchat account. Few people are reserved by nature and don’t want to mix up with others so easily. Snapchat connects with people you know and gives you a chance to socialize with them, but after a certain time few people stop enjoying such things. There could a different reason too for instance, you may find another app which suits your needs more and after switching to that one, Snapchat may seem like an extra app which is not required further more. People may also decide to quit because of security reasons. There is no harm in using a social app or sharing your personal pictures or video over there, but at times such apps bring trouble for the users, especially those who are public figures. The best thing we liked about the deactivation process is the facility which allows the user to get back within 30 days. At times we get emotional and take hasty decisions, but later when our mood swings we try to revert the situation. In case you deactivate the Snapchat account and after having a fight with some of your friends, but after a few days or after a patch up make your mind to give them another chance, you can login back and continue the service.